Maritzburg in need of a turnaround or face relegation - SABC News - Breaking news, special reports, world, business, sport coverage of all South African current events. Africa's news leader. 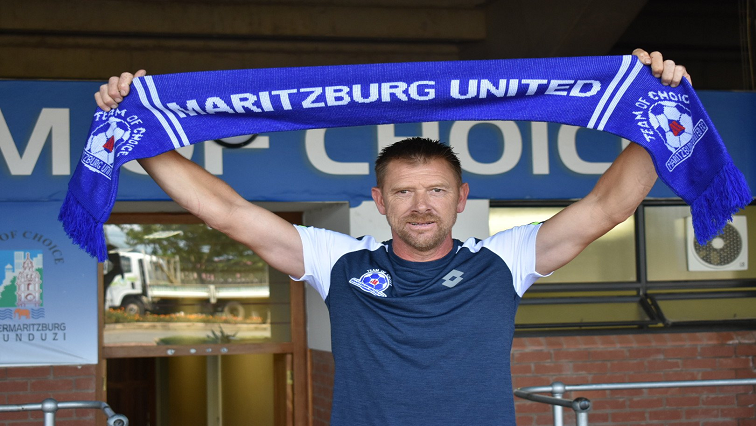 Maritzburg United Coach Eric Tinkler says that the position that the club is in, is unacceptable. With 11 matches to go, Maritzburg United need a quick turnaround if they want to remain in the Absa Premiership. They are at the bottom of the log with just 11 points from 19 matches. The Team of Choice host Polokwane City at the Harry Gwala Stadium in Pietermaritzburg on Friday evening. Maritzburg United are in a tight spot. They are now under immense pressure to produce positive results in all their remaining fixtures. Since the beginning of the current campaign, the Team of Choice have been struggling to move away from the relegation zone. In December, they parted ways with Coach Fadlu Davids who led them to the final of the 2018 Nedbank Cup. The arrival of Muhsin Ertugral did not yield any positive results and he has since left the club as well. Former Bafana Bafana strongman, Eric Tinkler, took over the reins from the Turkish mentor. In his first match in charge, Tinkler saw his side go down 1-0 away to log leaders, Bidvest Wits. Tinkler says that the position the club is in is unacceptable. Time is ticking and good results are a must against the high flying Polokwane City if Maritzburg want to survive the chop, but City are no pushovers, especially this season. They managed to consistently stay in the top half of the log for the better part of the campaign. City are currently in 7th place with 27 points from 17 outings. A win will see them level on points with 4th placed Cape Town City. The match at the Harry Gwala stadium will kick off at eight o’clock Friday evening. This entry was posted on 08 Feb 2019,02:28PM at 2:28 PM and is filed under Sport, Homepage Featured Story Slider. You can follow any responses to this entry through the RSS 2.0 feed. Both comments and pings are currently closed.